Episode 15 of The Dash Podcast. 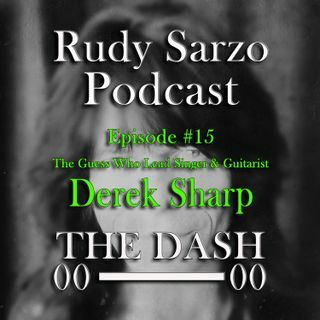 A conversation with my The Guess Who band mate Derek Sharp who is the Lead Singer, Guitarist and Songwriter for the band. In this episode Derek shares among many subjects how he became the band's lead singer over a decade ago, the over 2 year process of writing and recording our new record "The Future Is What It Used To Be" and the band's plans for the future.